"We found carbonised malt in an area with low-temperature ovens located in a separate part of the settlement. The findings are from the 400-600s, making them one of the earliest evidence of beer brewing in Sweden," says Mikael Larsson, who specialises in archaeobotany, the archaeology of human-plant interactions. Archaeologists have long known that beer was an important product in ancient societies in many parts of the world. Through legal documents and images, it has been found, for example, that beer was produced in Mesopotamia as early as 4000 BCE. However, as written sources in the Nordic region are absent prior to the Middle Ages (before ca 1200 CE), knowledge of earlier beer production is dependent on botanical evidence. "We often find cereal grains on archaeological sites, but very rarely from contexts that testify as to how they were processed. These germinated grains found around a low-temperature oven indicate that they were used to become malt for brewing beer," says Mikael Larsson. Beer is made in two stages. The first is the malting process, followed by the actual brewing. The process of malting starts by wetting the grain with water, allowing the grain to germinate. During germination, enzymatic activities starts to convert both proteins and starches of the grain into fermentable sugars. Once enough sugar is formed, the germinated grain is dried in an oven with hot air, arresting the germination process. This is what happened in the oven in Uppåkra. 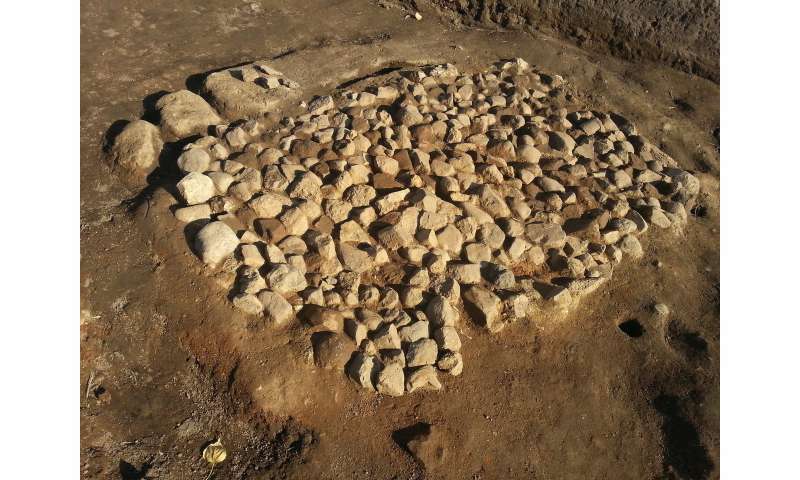 "Because the investigated oven and carbonised grain was situated in an area on the site with several similar ovens, but absent of remains to indicate a living quarter, it is likely that large-scale production of malt was allocated to a specific area on the settlement, intended for feasting and/or trading," explains Mikael Larsson. "From other archaeological sites in the Nordic region, traces of the bog-myrtle plant have been found, which indicates beer brewing. Back then, bog-myrtle was used to preserve and flavour beer. It wasn't until later during the Middle Ages that hops took over as beer flavouring," Mikael Larsson concludes. Two-litre soil samples were taken from various archaeological contexts—in houses, in pits, around hearths and ovens. The plant material was usually preserved in a carbonised state. The soil was mixed with water and so the carbon rose to the surface and was sieved through a fine mesh. The particles extracted were dried and studied under a microscope. Uppåkra is among the largest Iron Age settlements in southern Scandinavia and served as a densely populated political and religious centre of power for more than 1000 years, from the 100s BCE to the 1000s CE. The many findings made of imported luxury items such as jewellery and glass bowls, and from a developed production of crafts, indicate that the location was both rich and a significant trading centre. Tarnation I just don't have time for all this! Now I'm going to have to wiki bog-myrtle. This article has whetted my curiosity as well as my appetite. While I'm wetting my whistle! En fin mörkstjärt med surkräm sill och rålök på rågbröd.